“Australia Day was good – I wore my T shirt made in China, my thongs made in Brazil, drank an Aussie beer owned by the Japs, gave the missus a South Australian wine owned by the French, cooked a steak on my BBQ made in Thailand, listened to some music on my radio made in Korea, and then got real patriotic and proudly flew the Aussie flag made in China. Then we went for a drive in our car made in Germany. How Aussie is that!! Graham and I went to lunch with our friends – a German, a Greek, a Scot, a Pom and I’m Dutch – eight of us laughed till we cried whilst learning to do the Zorba which was safer than playing cricket on the back lawn … is cricket our NATIONAL DANCE??? One thing is for sure, we live in the most magnificently lucky, multi-cultural country! I’ve been doing experiments with ‘bio-char’ which I created from a very slow burning, very hot bonfire several months ago. To provide a steady feed on my rose garden, I put fine lumps of charcoal into a solution of seaweed and liquid fish emulsion, left it to soak for 3-4 weeks then placed it around the base of my plants. Once a week, I poured seaweed solution and my weed-tea over the bio-char to keep it actively releasing microbes which are stored in the charcoal. The results have been amazing – as I’ve been reading: “Bio-char is proving to be the greatest, most significant beneficial revolution in organic growing techniques for years”. To replicate this ‘brew’ you could buy a bag of pure charcoal (not heat beads which are impregnated with kerosene! 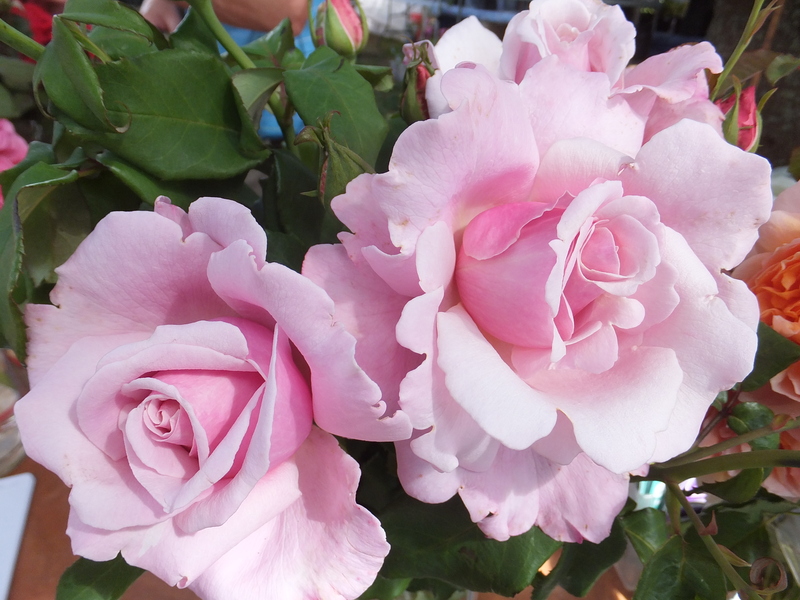 ), soak it in water, seaweed, fish emulsion, add some weeds, raw chook poo (or other animal manure) and after a few weeks, place the soaked charcoal around your roses. Use the remaining liquid by adding about 1 litre ‘brew’ to 10 litres water and pour over all plants – stand back and watch them grow! Q. Why do you feed cocoa to tadpoles? A. To make chocolate frogs. Certified organic – no nasty chemicals! Q. What goes through a grasshopper’s mind when he hits the windscreen of a car driving at 100km per hour? A. His legs! I could see it from my bedroom window so when we needed to design a garden in 2002 for our Kensington B&B I chose four of the bush variety for their long flowering and fragrance. Passers-by shot to inhale the fragrance and there is hardly a month when there is not one blooming. I now have a climbing one on the tennis court front fence at our NE Victorian farm. We wish all the kids a happy time as they move up a grade and back to school now that the summer holidays are over – enjoy the moments! Hello dear rose friends … another week of perfect Victorian weather living up to reputation, has seen our roses sweltering at 45 degrees with north-westerly wind blowing a gale one day then less than 15 degrees the next day – we marvel at the roses adaptability – so long as they have water! Q. What is the difference between a television and a newspaper? A. Ever tried swatting a fly with the tellie? 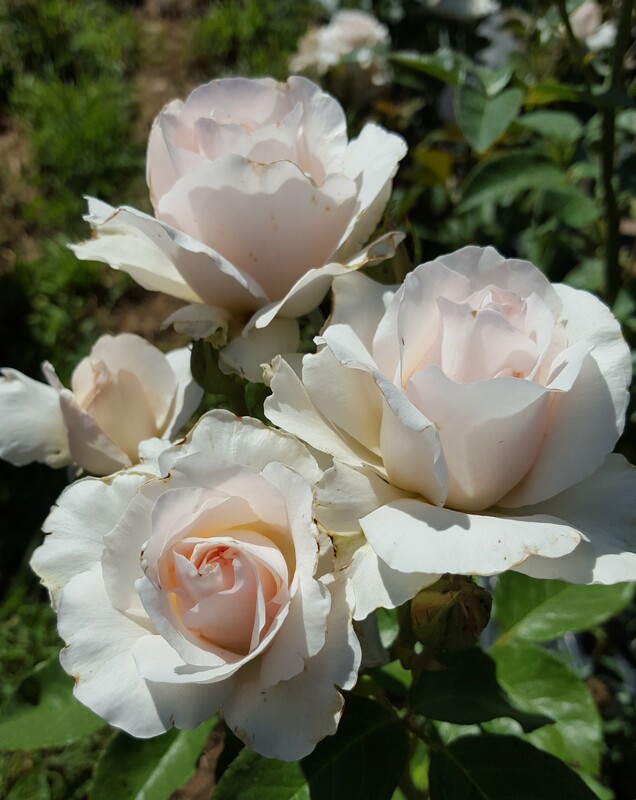 Bred in 1924 by Alister Clark at his property in Bulla, Victoria, this rose queen is still in demand because it is so suited to Australian conditions – it’s most prolific flowering can be during February when some roses like to have a bit of a spell after the hot summer. LORRAINE LEE produces masses of fragrant, smoky apricot-pink blooms in flushes throughout the season on a neat shrub to around 1.5 metres. There is also a climbing form which is most suited to a tennis court fence or similar large structure as the climber can reach massive proportions and requires very little attention! produces a stunningly continual display of medium sized open blooms of the brightest orange petals with yellow at the base complimented by a boss of crimson pollen-laden stamens which are so attractive to bees. 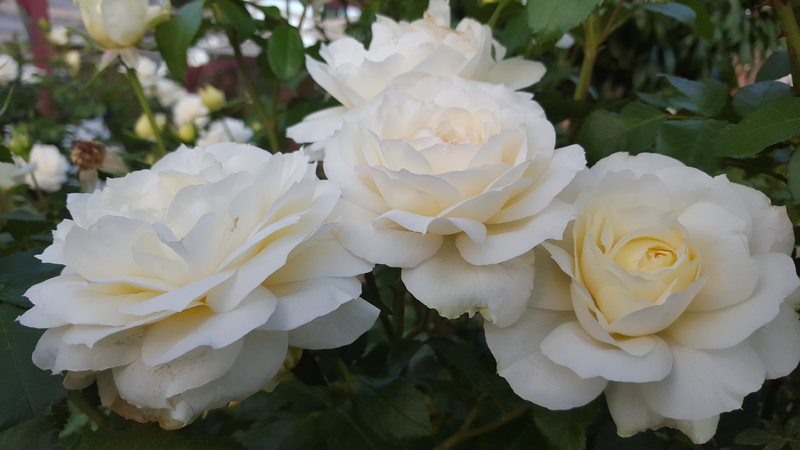 TINTERN grows into a neat mound, is very appropriate for potting into large tubs and is one of our HIGHLY RECOMMENDED roses, yes, it actually also has a lovely citrus fragrance! If you need to spray the organic management products, especially if you experience humidity which can induce black pot/powdery mildew, do so, but ONLY WHEN IT IS NOT GOING TO BE OVER 30 DEGREES and we highly recommend morning application. ECO-OIL is a very effective insecticide – it also makes ECO-ROSE FUNGICIDE and seaweed solution STICK TO THE FOLIAGE to improve efficacy of the products. It will BURN FOLIAGE if applied during hot weather!!! If you notice brown/crisp edges on foliage, check soil moisture and be sure to apply at least 20 litres of water per plant AT EACH APPLICATION once a week – not 5 litres per plant every day! 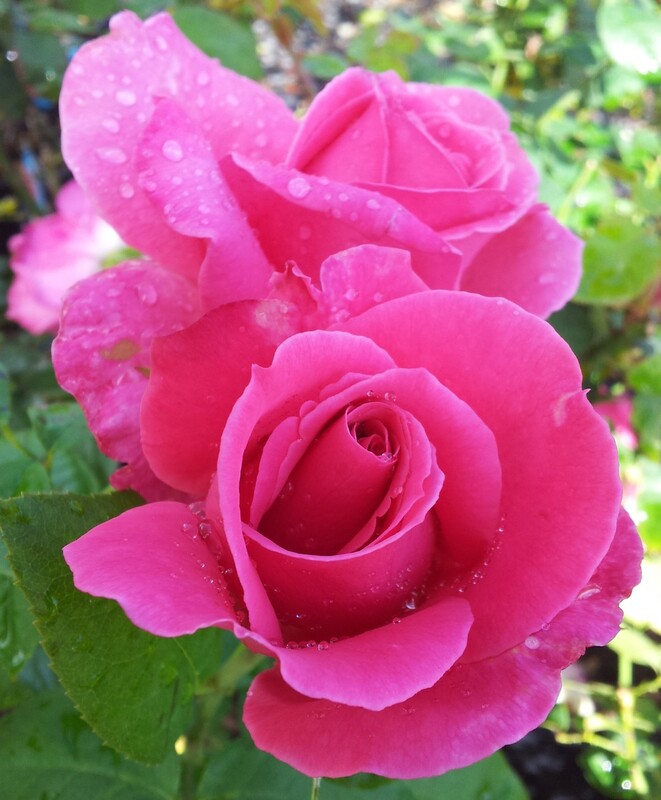 Such watering is pointless as it doesn’t reach the root-zone which is where roses require water. Q. How do you fit more pigs on your farm? A. Build a sty-scraper. 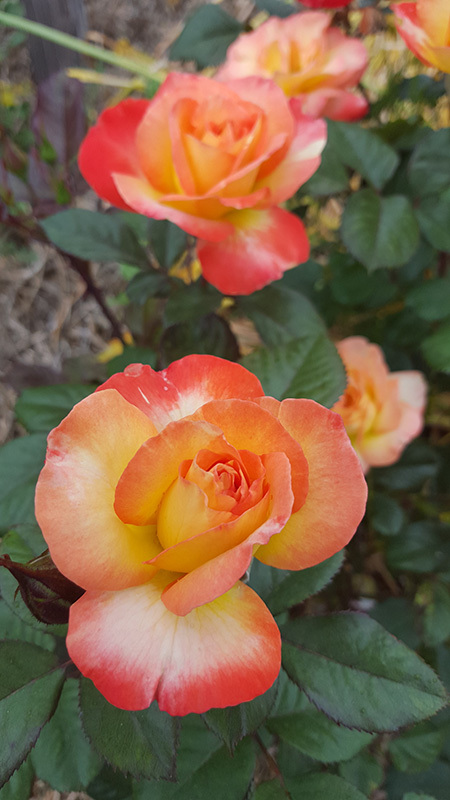 To increase the healthy vigour of your roses and have them produce quality blooms throughout summer, deep soak your plants to ensure their roots travel way down into nutrient-rich clay sub-soil – there are usually good reserves of moisture down in the sub-soil! 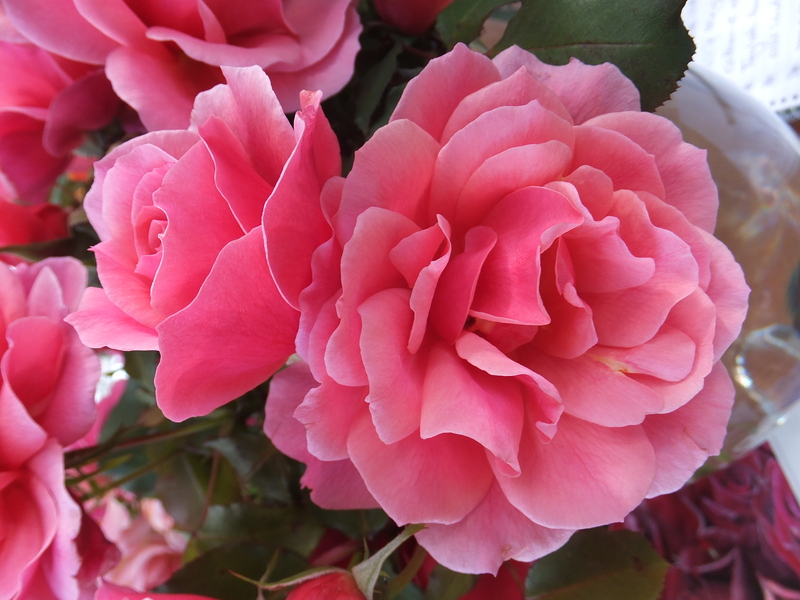 Good watering will ensure a healthy cover of foliage which is the absolute ‘life-force’ of your roses! 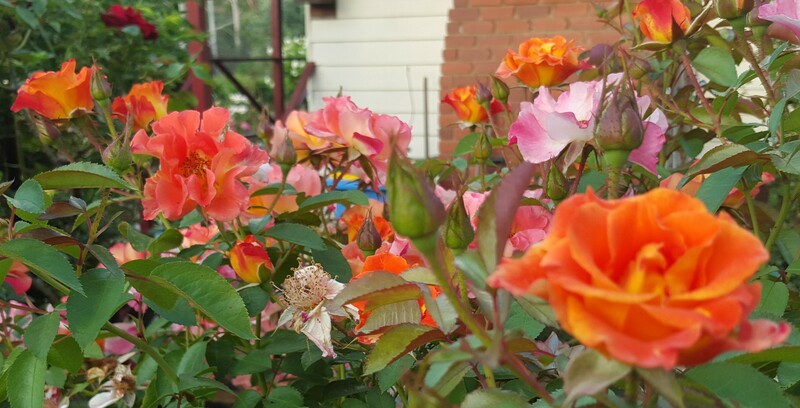 Please feel free to email photos of your roses to: info@rosesalesonline.com.au if you need advice or have any concerns about the health of your roses … or just to share photos and brag about your roses, of course! 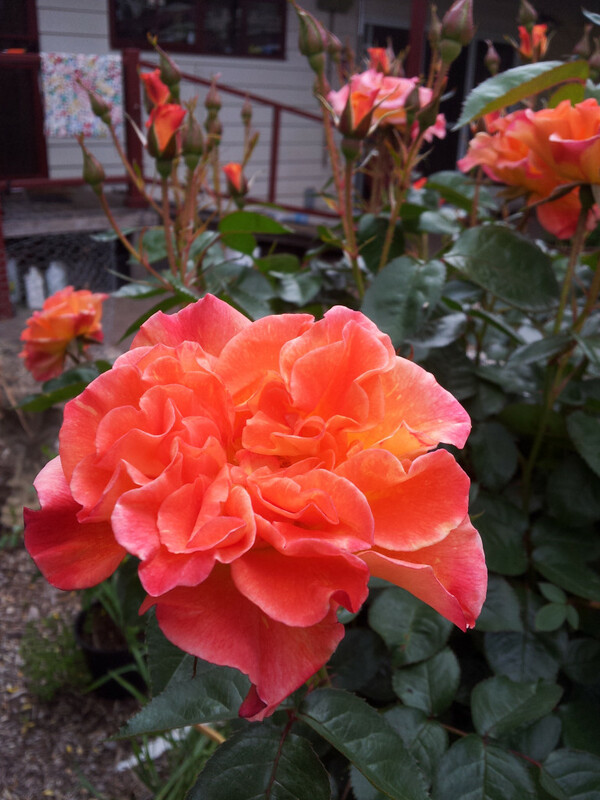 Meantime, enjoy all the beauty in your rose garden! (including biodynamics, of course –ed)“A team of international scientists has shown that assigning a dollar value to the benefits nature provides agriculture improves the bottom line for farmers while protecting the environment. The study confirms that organic farming systems do a better job of capitalizing on nature’s services than do conventional farming systems. ‘By accounting for ecosystem services in agricultural systems and getting people to support the products from these systems around the world, we move stewardship of lands in a more sustainable direction, protecting future generations’, said Washington State University soil scientist John Reganold. Earthworms turning the soil, bees pollinating crops, plants pulling nitrogen out of the air into the soil and insects preying on pests like aphids – these are a few of nature’s services that benefit people but aren’t often factored into the price we pay at the grocery store. The research team quantified the economic value of two ecosystem services – biological control of pests and the release of nitrogen from soil organic matter into plant-accessible forms – in 10 organic and 10 conventional fields on New Zealand grain farms. The values of the two ecosystem services were greater for the organic systems, averaging $146 per acre each year compared to $64 per acre each year for their conventional counterparts. The combined economic value, including the market value of the crops and the non-market value of the two ecosystem services, was also higher in the organic systems, averaging $1165 per acre each year compared with $826 per acre each year in conventional fields. The study showed that the value of the two ecosystem services on the organic farms exceeded the combined cost of traditional pesticide and fertilizer inputs on the conventional farms”. Using organic and biodynamic management practices in your home garden is very economical and will definitely afford you better health and a sense of satisfaction that you’re working alongside Mother Nature providing a safe and inviting environment for you and your family to enjoy! 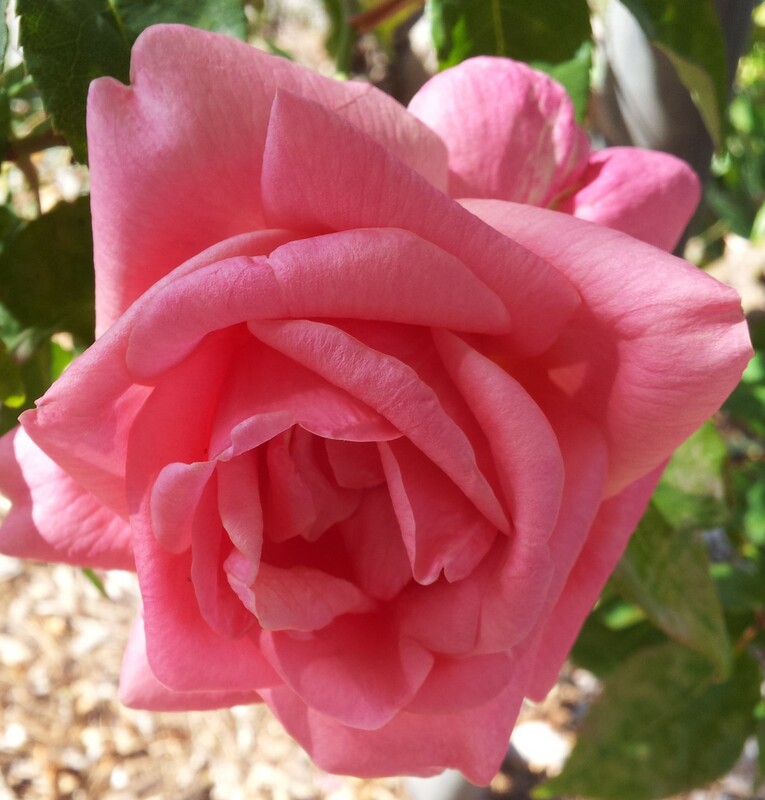 Large, orchid pink blooms with split outer petals on long single stems that have few thorns on the flowering stem. Lush, healthy mid-green foliage – beautiful! Palest pink blooms gently deeper pink towards the centre. 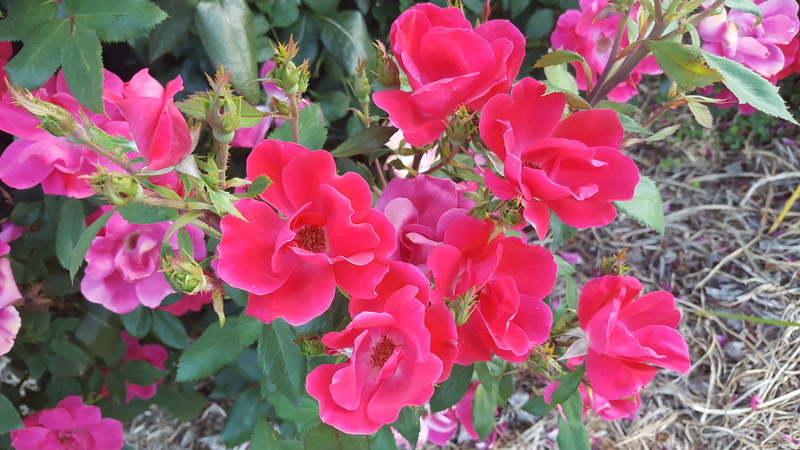 Abundant blooming with dark glossy foliage, medium-tall spreading shrub – stunning! Vibrant blooms of deep, hot pink this tall grower was named by the RSPCA to honour the unconditional special friendship that comes from loving your pet! Every single bloom deserves to be vased for the pleasure of fragrance in your home! Q. What lies around, one hundred feet up? A. A dead centipede. About this time last year, I wrote asking if you had any tips for deterring possums from eating the buds on my climbing roses. At that stage, I was tying bags of naphthalene to the climbing frame, as well as smearing Vicks Vaporub liberally along the branches. That worked, but it was unsightly, so this year I am trying something different, so far with success. I pruned the roses to a lower point and am allowing new canes to grow outwards, away from the trellis and therefore away from the possums. All the climbers are blooming and the canes are a manageable length if I keep dead-heading and cutting back just a bit more than in previous years. The big test was the recent very hot day with strong winds, and all survived. The possums don’t touch my standard or bush roses, and obviously don’t feel sufficiently stable to climb out on the flowering canes of the climbers, whereas anything tied to the trellis is fair game. 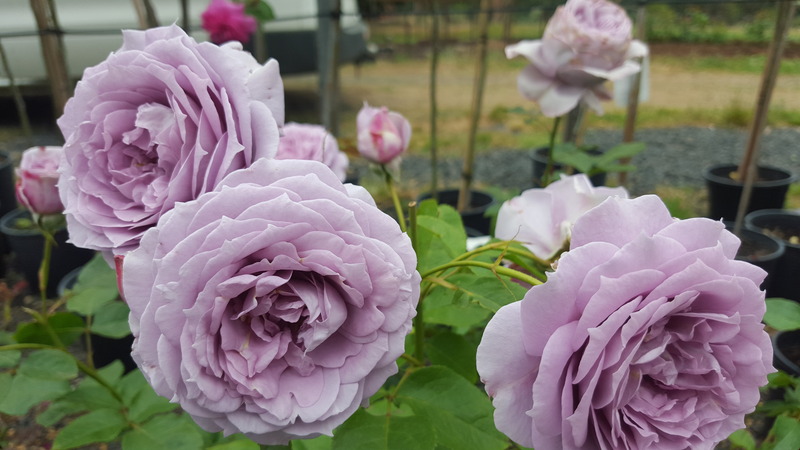 Of course, you could also grow climbing roses away from fences in an obelisk/pillar frame such as we stock at the Rose Farm … lovely sturdy supports, not too decorative which can makes them VERY AFFORDABLE – they certainly look beautiful in my new garden. 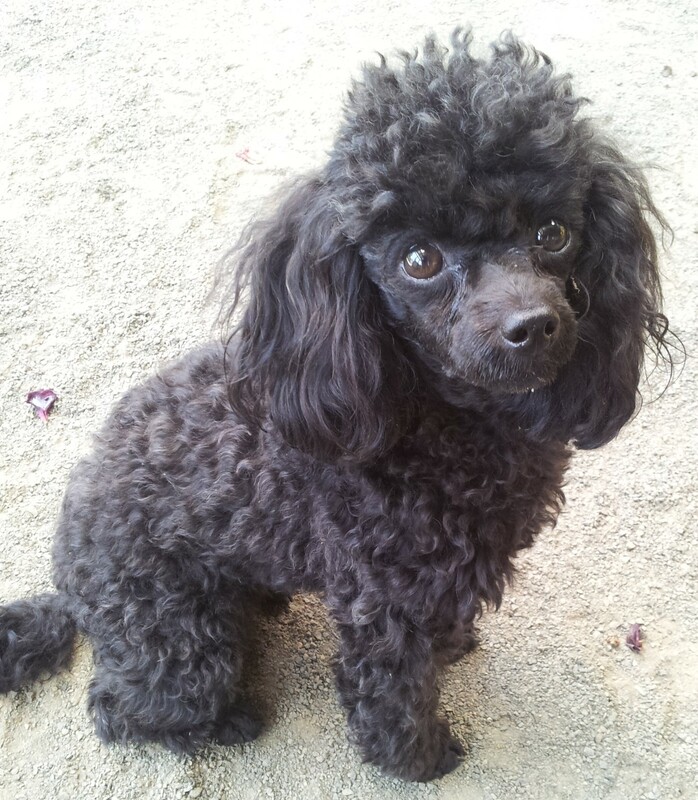 They come in two sizes – short 1.5mts $150 and tall 2mts $195 both 55cm diameter. These pillars would be suitable for a large pot/wine barrel to add a column of flowering beauty in your space! 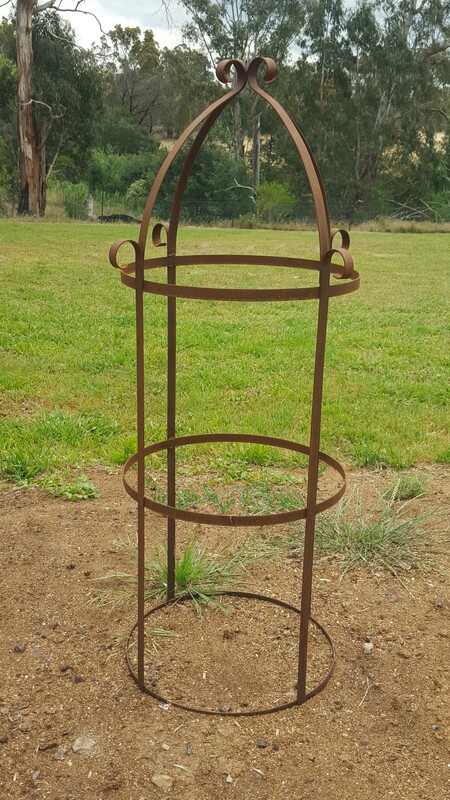 There is a new addition to these obelisks which suit CLEMATIS 1.5mts tall x 30cm diameter $75.00 – these frames are ‘pick-up’ only as they are very sturdy and are not bolted together out of a ‘flat pack’ from China – a local guy constructs them for us! We trust you’ve enjoyed the Festive Season as much as we have – we wish you health and happiness during this year! 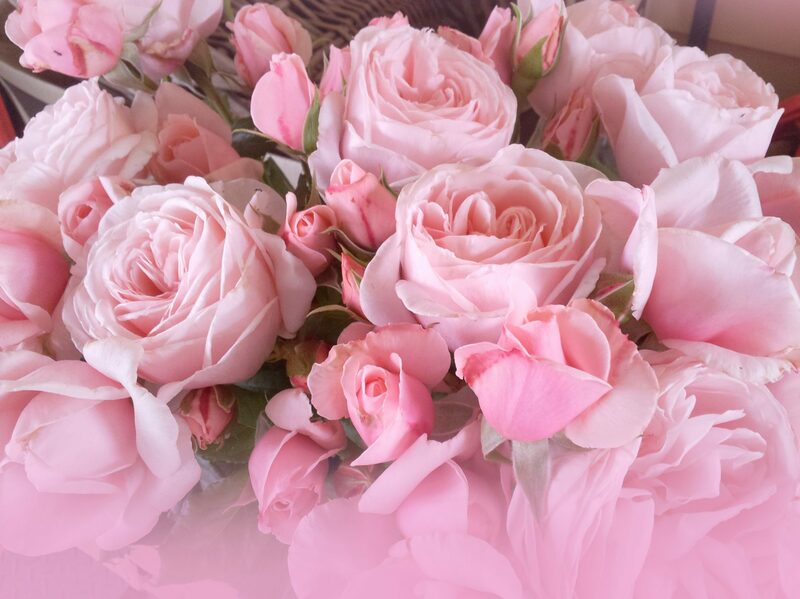 We re-open tomorrow and will be here every FRIDAY, SATURDAY, SUNDAY and MONDAY throughout this year from 9.00am – 4.00pm – www.rosesalesonline.com.au, www.giftroses.com.au and www.allaboutroses.com.au with an encyclopaedia of roses and lots of helpful information along with all past issues of this Rose Rambler are there for you 24/7 – enjoy! 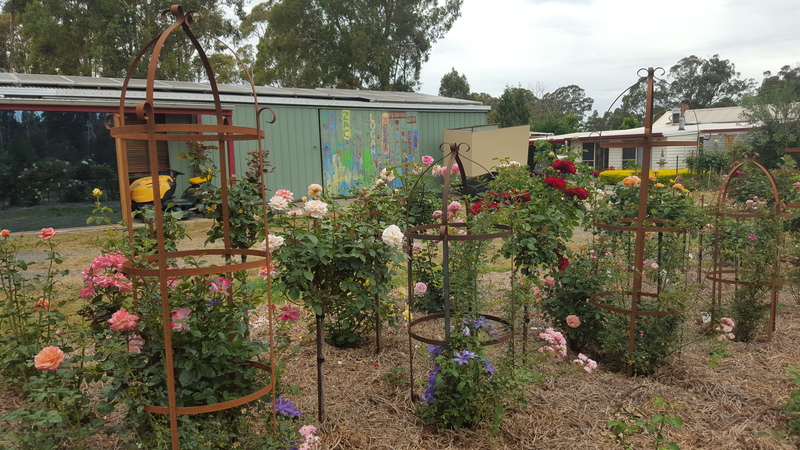 Our roses have loved the heat and because of the late frosts we kept the garden beds well irrigated to encourage regrowth and flowering after -3 frost on 30th November with a follow up -1 frost on Saturday, 12th December. Saturday, 19th December, we recorded 45 degrees and Saturday, 26th December, we recorded 21mm of rain. A season to remember!!! Fortunately, we’ve also been blessed with a significant 40mms of rainfall over the past week so it’s a picture here again – all in less than 5 weeks since our garden was devastated by frost during December! If your kids need entertainment, get them out in the garden – over the next THREE DAYS until Saturday, 9th January, there is a moon phase which indicates a brilliant opportunity for weed eradication. Offer the kids 5 cents for every weed they pull out – have them count them, write up an invoice and suggest they’ll then have to put 50% of the earnings into their bank account and spend the rest on something they ‘have to have’. You’ll have a weed-free garden in no time and the kids will have had a great experience! Scientists tell us that people average around 70% of each day sitting whilst working in the garden for around ONE HOUR is equivalent to a 4KM walk! Get out in the garden but do remember to be kind to yourself in extremely hot weather – half an hour in the morning and then another half hour after dinner in the evening. Let your garden be your doctor!!! 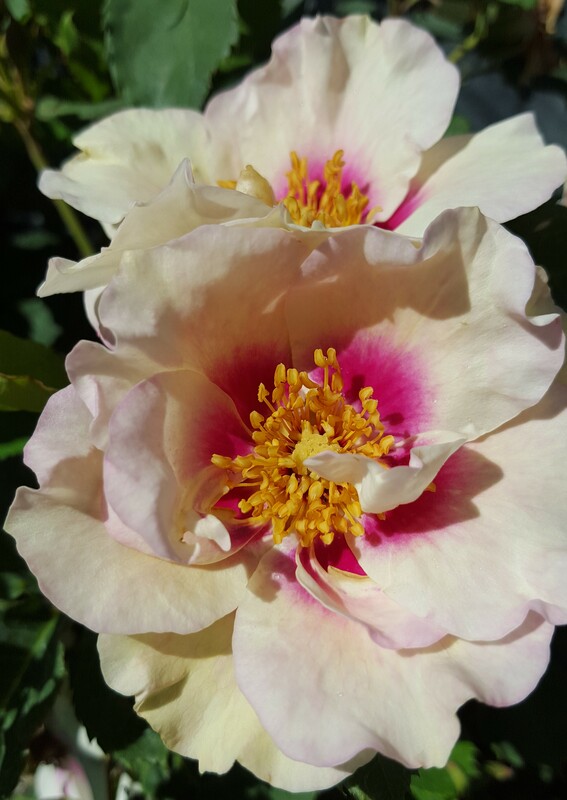 Amazing proliferation of blooming clusters on a stunningly healthy shrub to 1.5mts tall with a fresh, citrus fragrance – highly recommended rose! One of my absolute favourites in the front garden – always stunning blend of eye-catching colour with dark, dark green healthy foliage on a neat bush to 1.2 mts tall.